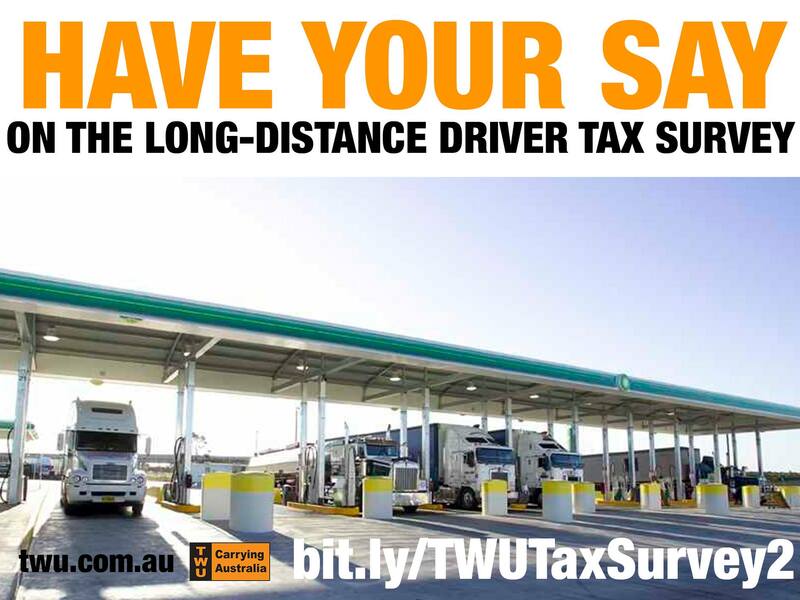 Attention long-distance employee drivers…have you filled out our survey on your expenses yet? Late last year, the TWU forced the ATO to shelve its unfair plan to drastically cut the amount drivers could claim for meal expenses for the current financial year. However, the ATO is yet to finalise its plans for the 2018/19 financial year. The more information we can provide the ATO about the economic pressures and tight margins long distance truck drivers face, the greater our argument against these unacceptable tax changes being introduced.